Based on Norwegian Action-Drama In Order of Disappearance, Director Hans Petter Moland returns again and teams with Writer Frank Baldwin to bring us an American adaptation, Cold Pursuit. King of the vengeance genre Liam Neeson, stars. Cold Pursuit focuses on Nels Coxman (Neeson), who is after the men who sold a lethal dose of heroine to his son Kyle (Michael Richardson). His journey takes him through a plethora of characters such as Limbo (Bradley Stryker) and Speedo (Michael Eklund), fighting his way to Viking (Tom Bateman). However this causes issues, as Viking tries to figure out how his men are getting picked-off one by one, he assumes the treaty his father brokered all those years has been broken and starts a turf war. Cold Pursuit is essentially Taken, but instead of killing the people responsible for kidnapping his child, he’s after the blood of the people responsible for his child’s death. Liam Neeson who by now should find his Action Star status second-nature, hits the marks, although we don’t feel we’re seeing that different a performance from some of his other work in the genre. Laura Dern who plays Grace Coxman, is under-utilized and at times feels out-of-place. Tom Bateman delivers his uber-villain in manner we saw in 80s ‘B’ Movies, which isn’t necessarily a bad thing depending on what you’re hoping to get from the Movie. However, if you’re going to see Cold Pursuit for action and Liam Neeson killing people with a snow plow among other over-the-top ways, you’re in luck. Hans Petter Moland clearly wanted more people to see the insanity he crafted in In Order of Disappearance and he most definitely accomplishes that. Yay, action! 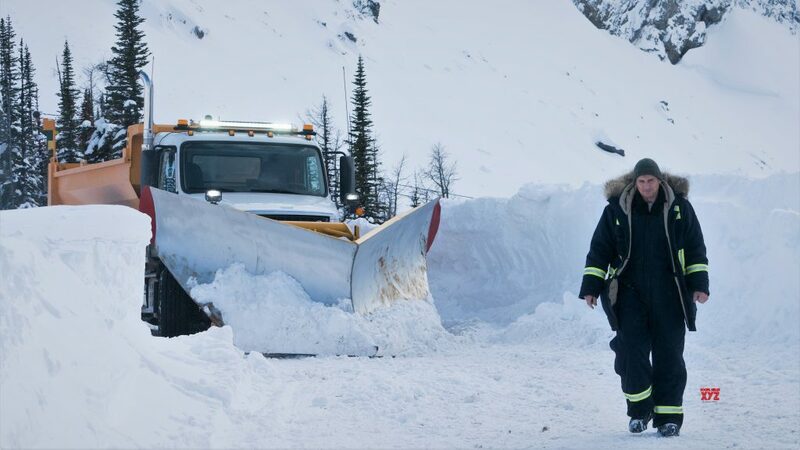 Elevation Pictures releases COLD PURSUIT in theatres on Friday, February 8, 2019.